Welcome to the July Pinterest Challenge Blog Hop! The purpose of this Pinterest Challenge is to motivate all the participants of this hop (and you too) to not just pin, but to make it happen! 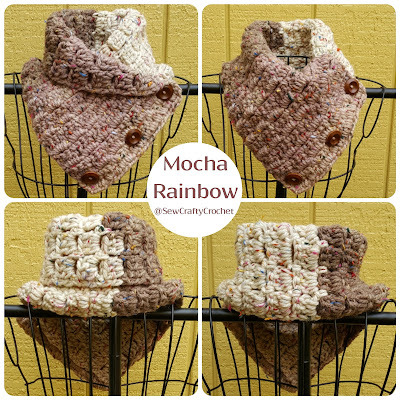 This month I'm sharing my Crochet Margaret Cowls. I found the pattern via Pinterest, and I loved it so much I decided to make this cowl in several different yarn colors! I decided to use Caron Cakes to crochet my Margaret Cowls. 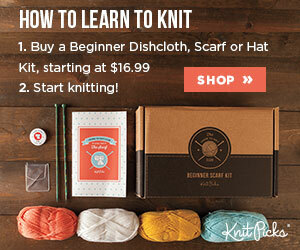 These yarns are chunky, colorful, and fun! The Margaret Button Cowl pattern by Fiber Flux works up so fast and is so easy! 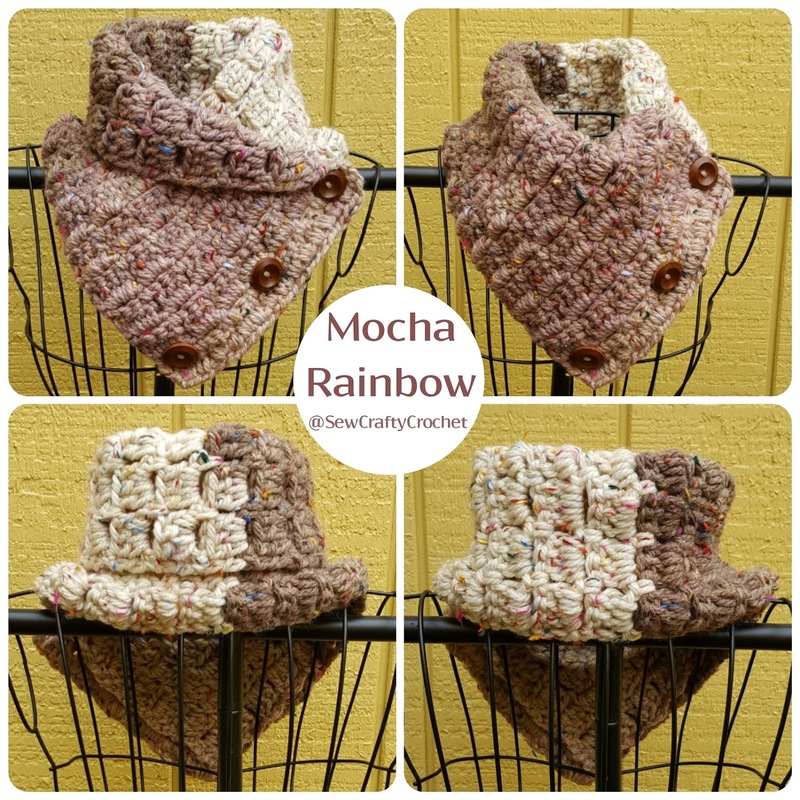 The original pattern calls for one large button, but I added three large wooden buttons to fasten the cowl. 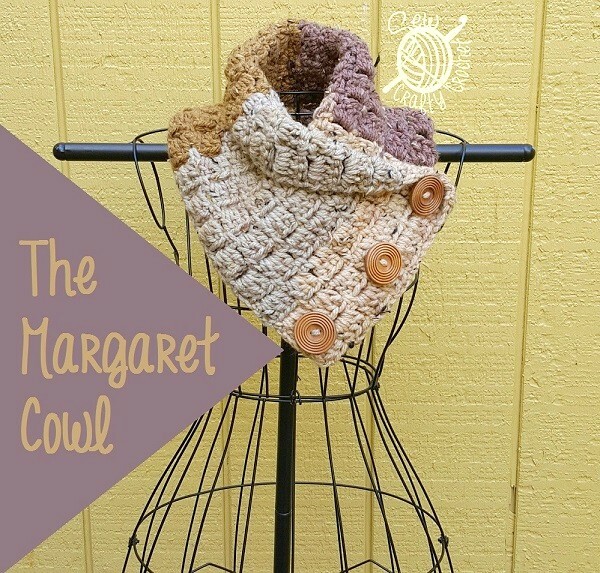 This was the first Margaret Cowl that I made. It was was fast and fun that I made several more! 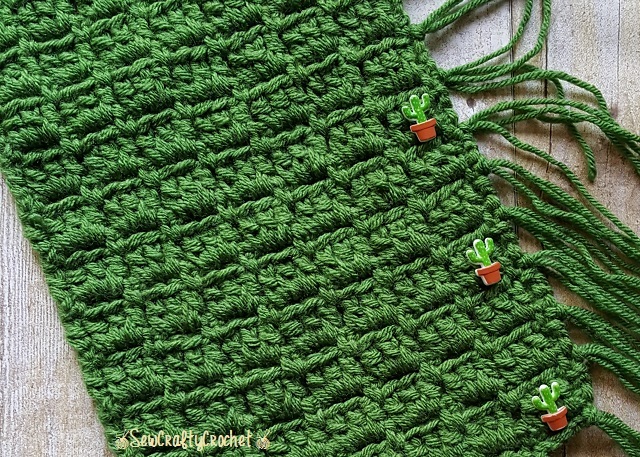 Since I've recently fallen in love with the cactus, I decided to make a green Margaret Cowl with fringe and cactus buttons! 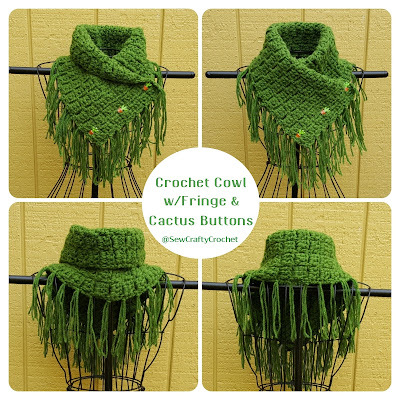 For this scarf, I used Vanna's Choice Kelly Green yarn. Aren't these cactus buttons cute!?!? 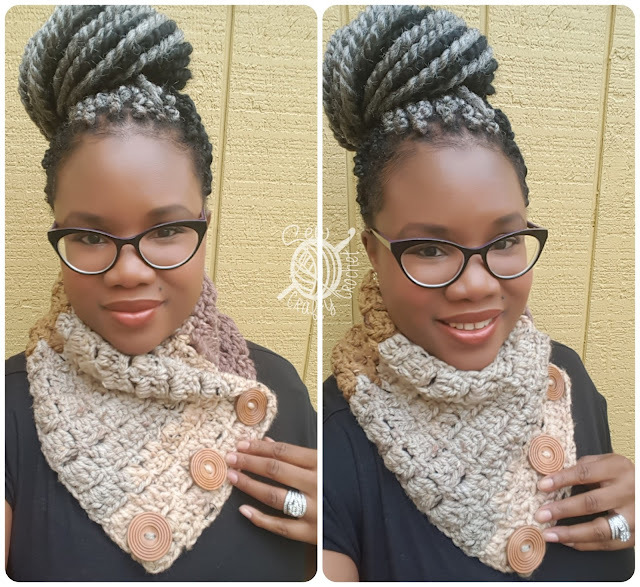 I love this cowl because it's so fun to make and can be worn two different ways. 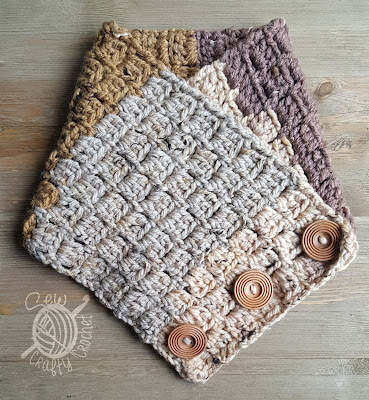 I have these cowls listed in my Etsy Shop. 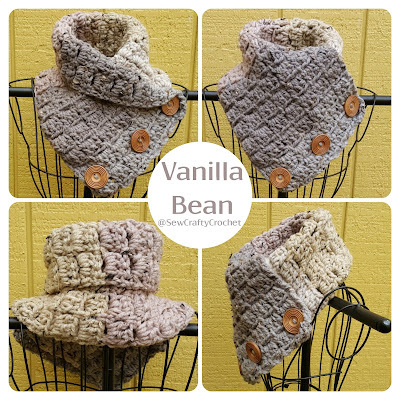 Thanks for stopping by and checking out my Margaret Cowls! If you'd like, you can leave a comment letting me know which color you like most. To join next month's #pinterestchallenge, click here to sign-up ⇒ August Pinterest Challenge. Rebecca - Hello Central Avenue • Gwen - Geez, Gwen! This is so beautiful! You did an anmazing job, will be pinning it and great to be with you in this challenge. Oh these are so stylish and beautiful. I especially like the fringed cactus one. Thanks! The cactus is one of my faves! These are all so beautiful! As I kept scrolling I kept thinking; Oh this is my favorite and then I'd see the next one. Pinned. You are so talented!! I love all of these. 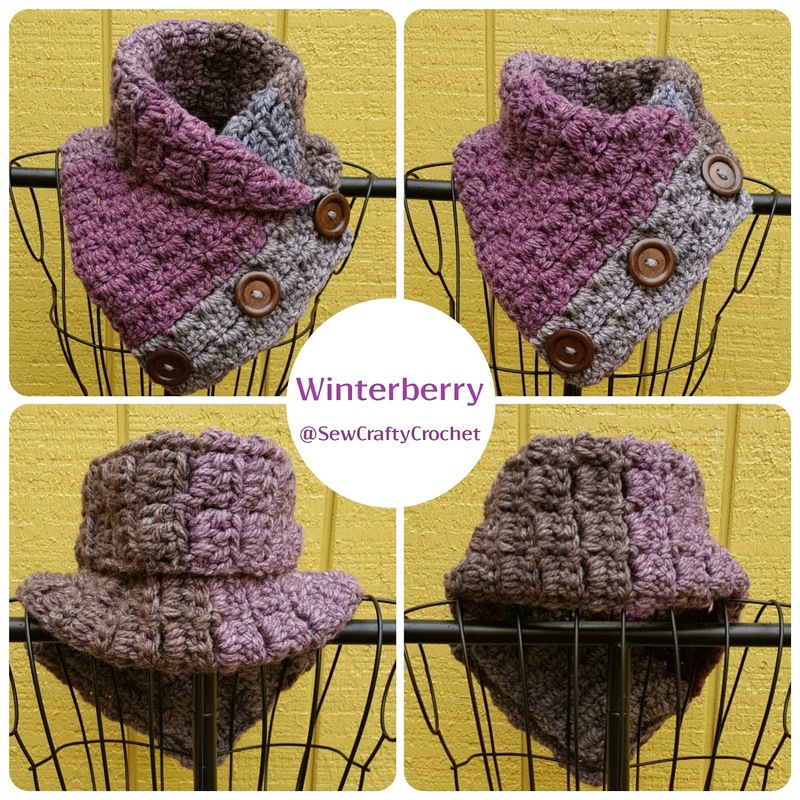 I purchased a similar piece several years ago in colors similar to your winterberry but with more a tweed look. It has only one toggle button. Love that you used 3 buttons on yours. Truly lovely!!! Thanks so much! I love buttons, so I couldn't resist adding as many as possible! These look all beautiful, perfect for the cooler weather. You are so talented!! 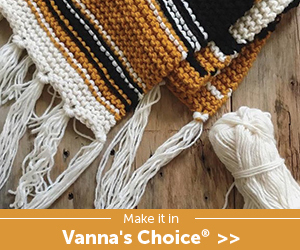 T'onna your cowls are fantastic! 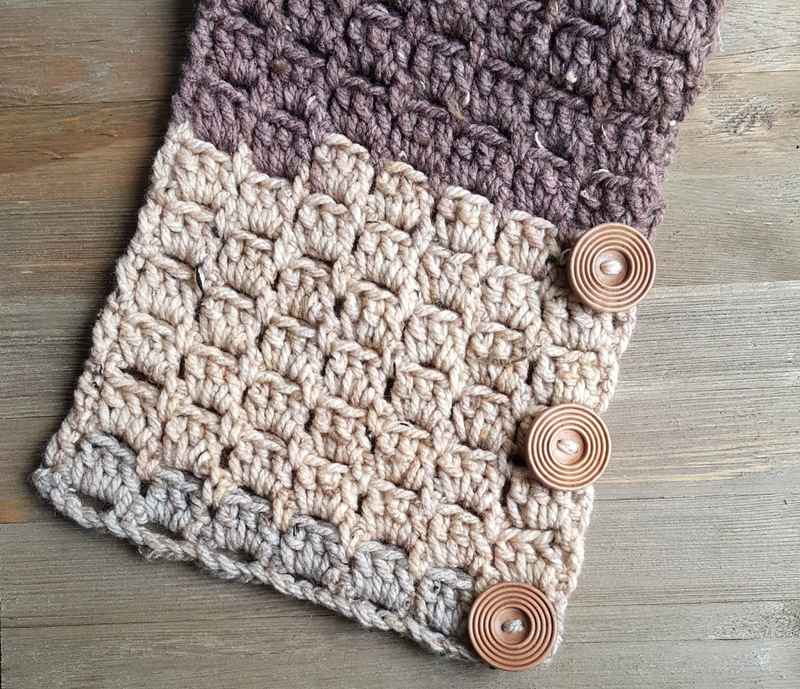 The pattern looks great too - easy and fast to work! Thanks so much! The pattern is very easy! 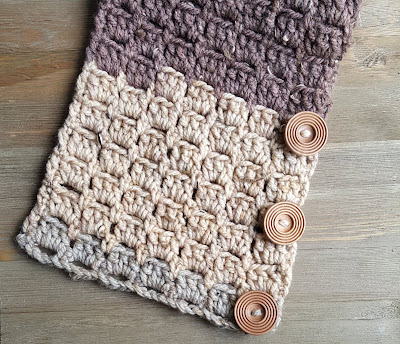 I love a quick and easy pattern to give me a break from my usual projects. These are so gorgeous. It would be hard to chose which one is the prettiest because they are all so lovely. These are beautiful! I love all the colors, the winterberry is my favorite. Thank so much! Winterberry is such a pretty yarn. 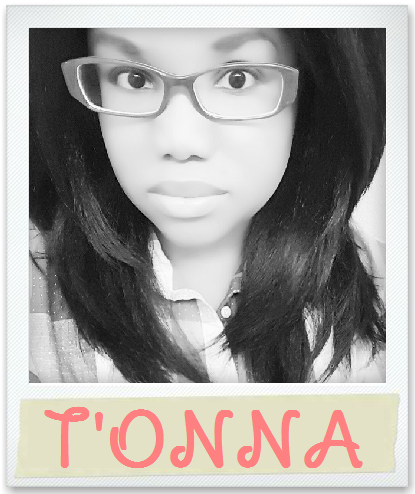 You never cease to amaze me, T'onna! 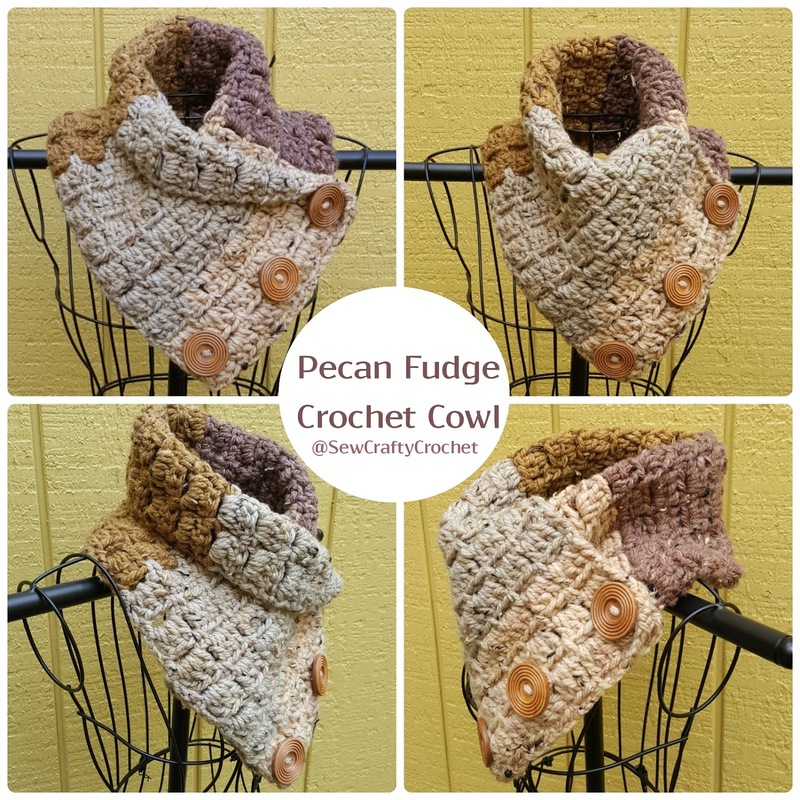 All of your cowls are beautiful! What talent and creativity! I love how you added more buttons to the look! Just the right touch! Thanks so much, Gail! I love buttons! Don't you love those Caron Cakes? No color changes mean only a couple ends to weave in. Your cowls turned out lovely and the additional buttons really make them pop. I love how you've demonstrated wearing the cowl indoors, too. Thank you! And yes! 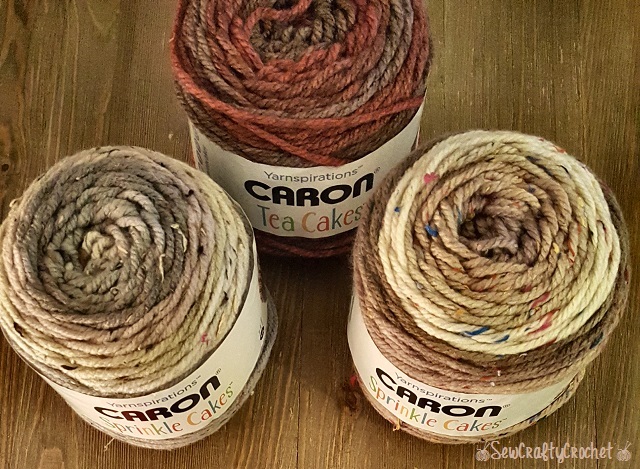 The Caron Cakes are amazing!!!! 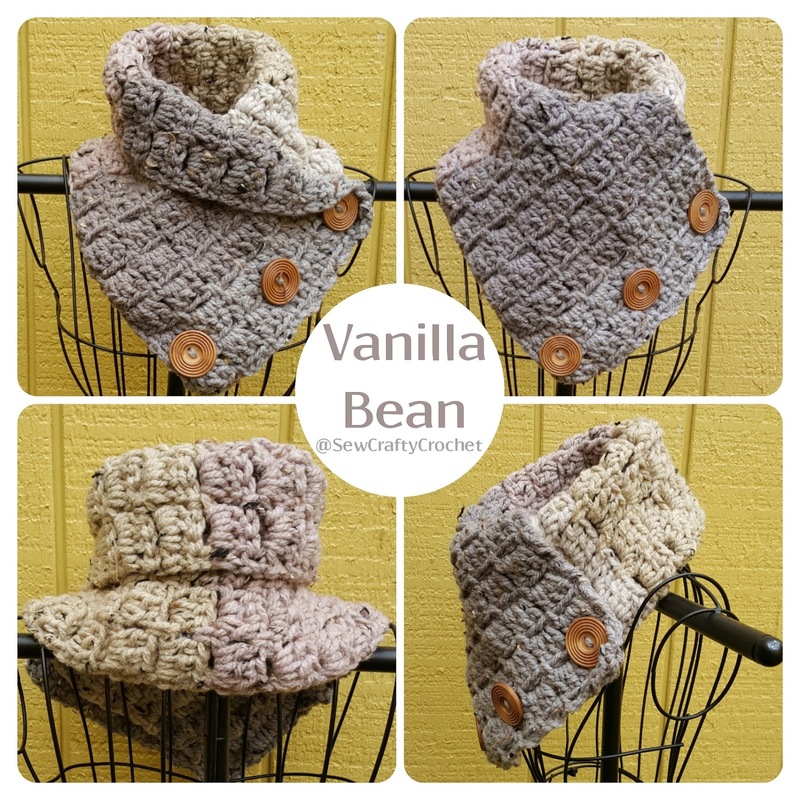 Oh these look so snuggly and warm! We are in the middle of winter here in Australia and sure could do with one or three!! Thank you! They are very warm! I love the winterberry one! And those cactus buttons are adorable!Unfortunately I don't have much occasion to wear one in south Texas! What a gorgeous pattern! I can't believe you made so many. In awe of your mad crochet skills! Thanks! They work up pretty quick! These are just gorgeous! 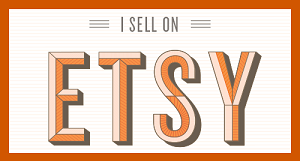 What great gifts for the Holidays too! 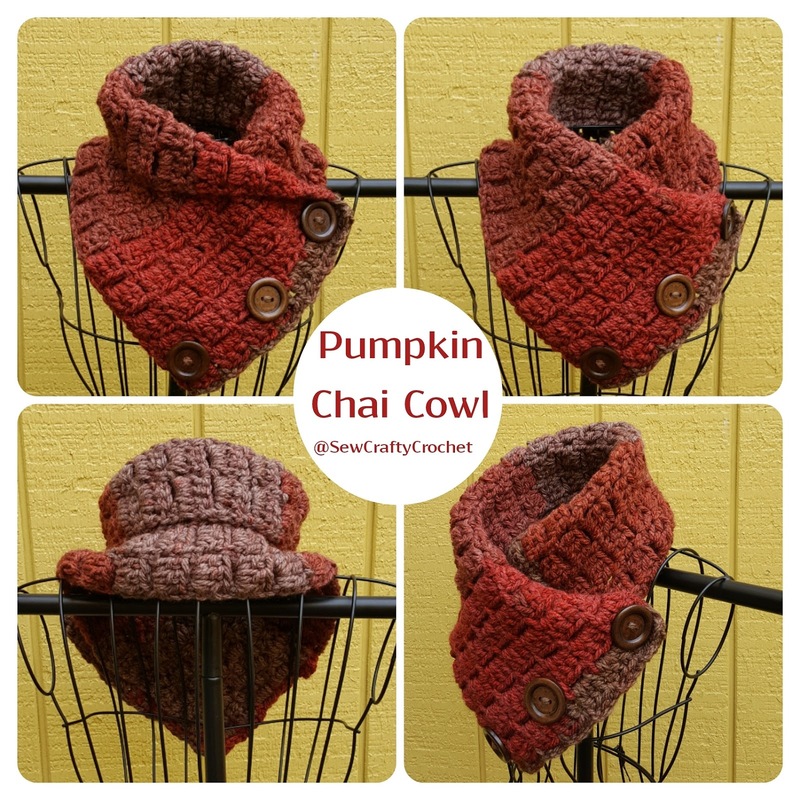 That pumpkin one will be so pretty for a fall outfit. 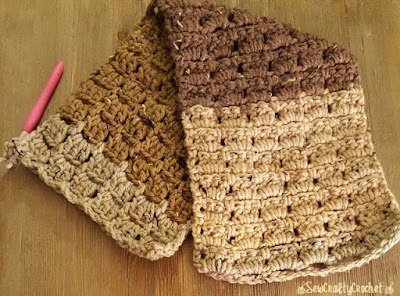 You're so talented and love your spin on this crochet pattern. OOOO these are brilliant, I love how the colours work on these from the cakes. 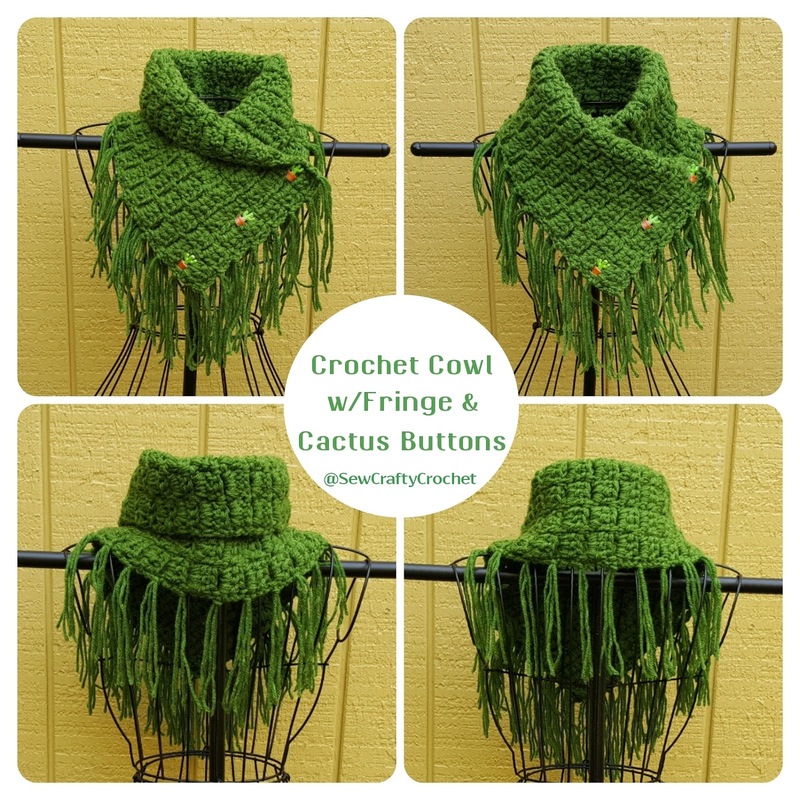 The Pumpkin chai is my fav but the green with the fringe is just lovely too.... what am I saying, they are all lovely. Brilliant for Christmas gifts eh?